The threat of new U.S. sanctions rocked Russian markets on Thursday, as investors were left wondering whether they had been getting too complacent about what had been a long-expected move. Russian stocks and government bonds fell and the country's debt insurance costs rose alongside FX volatility gauges, after U.S. lawmakers introduced legislation seeking the sanctions in retaliation for meddling in U.S. elections and in Ukraine. The proposed sanctions include Russian sovereign debt as well as some of the country's banks and energy companies. The bill was a tougher version of a proposal that failed to pass in Washington last year. The ruble touched 67 against the U.S. dollar, its weakest since Jan. 15, and lost almost 1 percent against the euro to trade at 75.57. Ruble implied volatility gauges saw their biggest jump in almost three months. The declines came even though Brent crude oil prices reached a three-month high. Oil is Russia's main export, and a higher price usually supports the ruble. 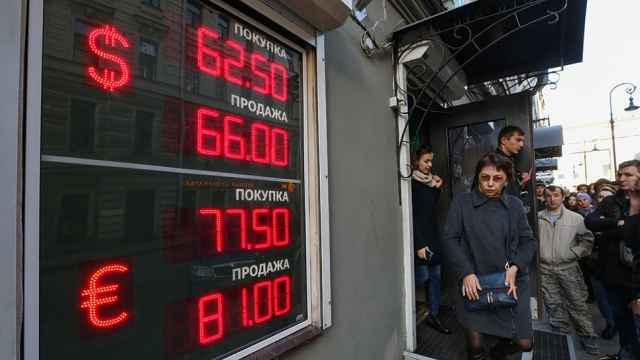 Russian stock indexes also fell. The dollar-denominated RTS index fell 3 percent and the ruble-based MOEX Russian index lost 1.3 percent. Banks were hardest hit. Shares at Russian top lender Sberbank fell almost 5 percent. VTB, Russia's second-biggest bank, lost 2.92 percent. Both banks saw their bond spreads widen. Sberbank's chief executive, German Gref, said that according to his information, major Russian banks were not included in the new sanctions bill, but he added that one should prepare for unfavourable situations. "The sanctions are driving the currency lower. Also the ruble was among the best-performing currencies in January and concern about the sanctions is prompting investors to take positions out," Petr Krpata, chief EMEA FX and interest strategist at ING in London, said. "We were preparing ourselves for this eventuality," said Edwin Gutierrez, head of EM sovereign debt at Aberdeen Standard Investments. "But this is understandably causing a lot of noise and the U.S. senators have certainly tightened the language since last year." The Kremlin said Russia's economy could cope with any new U.S. measures. "Our economy has long been under various sanctions. 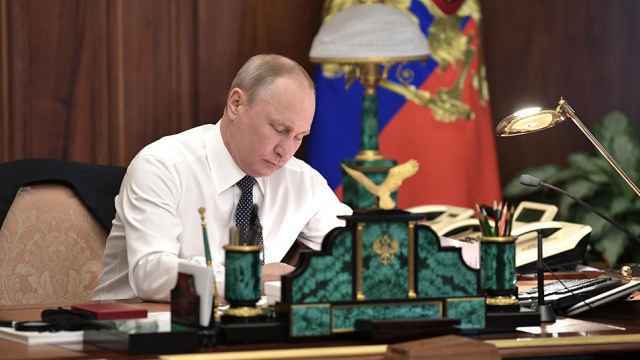 Our economy has learnt to preserve macroeconomic stability in conditions of these sanctions," Kremlin spokesman Dmitry Peskov said on Thursday. Russia's finance minister also said Moscow had the tools to shield its economy and that the central bank and finance ministry have already created a financing buffer to help protect Russian banks. However, sanctioning Russian government debt and of some of its firms is considered one of Washington's most potent tools because it would effectively freeze them out of international borrowing markets. The measure would, however, create fewer problems than in many other developing market countries though. It has one of the lowest debt levels in the world and nearly half a trillion U.S. dollars in reserves thanks to huge oil and gas export revenues. For investors though it would come at a difficult time. The ruble had been up almost 7 percent for the year until a week ago and its bonds had been big winners too on bets that the central bank might start cutting interest rates again this year. Russia five-year credit default swaps, the cost of insuring exposure to its debt, jumped to a one-month high as Russian dollar bond prices fell across the curve, though it was the ruble debt that dropped the most. 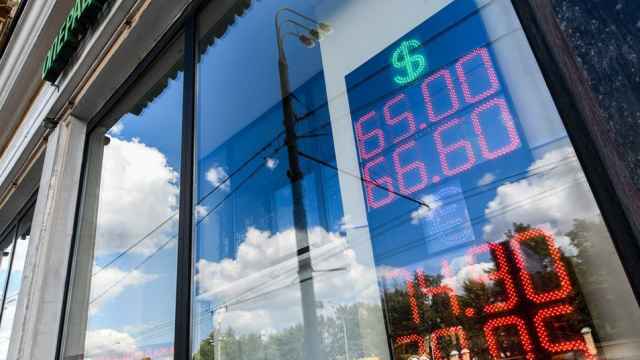 Russia's benchmark sovereign 10-year ruble bond hit a yield of 8.50 percent, its highest since early January, before easing back slightly to 8.4 percent. Data from the country's central bank shows that although their share has been falling over the last year, foreign investors still own almost a quarter of Russia's local OFZ bonds. "The local currency bonds are getting hit more because that is where they (Russia) funds itself," Gutierrez added. 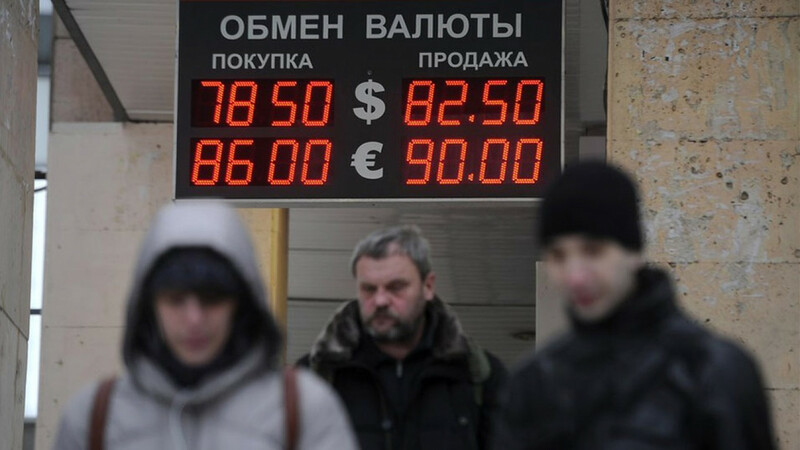 "If foreigners weren't able to buy Russian ruble debt then, yes, that does have an impact." The sanctions would need to be passed by the full House in Washington and receive President Donald Trump's signature, but if they do become a reality it would mark a new low in relations between the former Cold War foes.